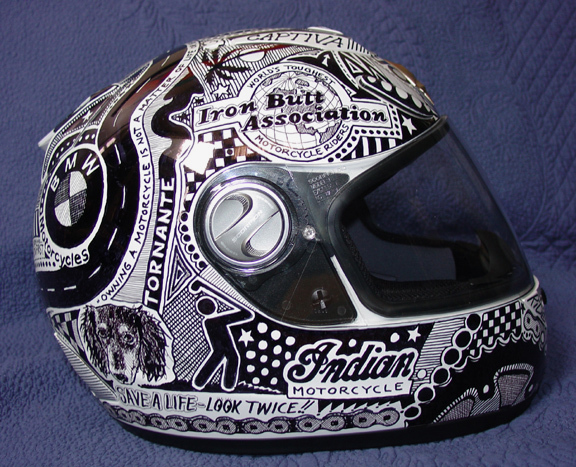 As everyone knows, wearing a helmet is rule number one in the safety guide to riding motorcycles, but it is also extremely important to get a properly fitted helmet. You can get helmets in all shapes and sizes these, but the size that does matter is that of your head. 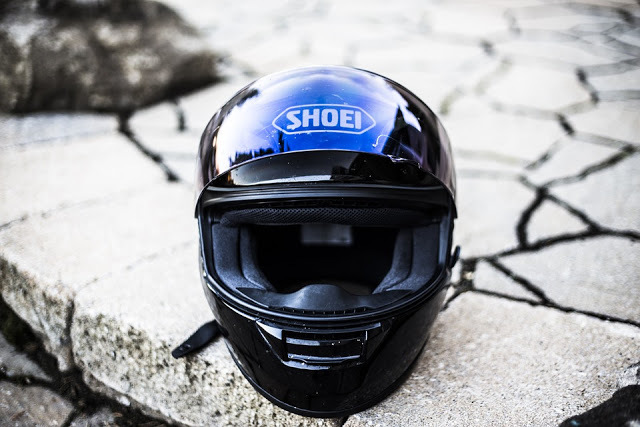 An ill fitting helmet can be as dangerous as not wearing one in the first place, aside from being uncomfortable, they also don’t even have to be that expensive and you can get really good cheap motorcycle helmets. Therefore, here are some important things to know when getting yourself a helmet. Get a tape measure that can be easily wrapped around your head without creating bumps or gaps, to ensure that you get the exact measurement. Wrap the tape around your head just above the eyebrows, making sure that it doesn’t dip around the back, or anywhere else for that matter. Take the measurement in centimetres and make a note of it, it may also be worth getting a measurement in inches as well because some stores may vary in their measurements terms. Size guides are extremely important. These will allow you to get a helmet as close as possible to your exact measurements, as well as this different stores can use different size guides, so if you are a large in one shop you may be a medium in another, and it’s very important to know your measurement rather than rely on a size that you usually would get. Another important note is that in the UK we have specific helmet sizes and this can vary in different countries, where the UK may have a 6 or 7 or something like that, it can be totally different in a foreign country. When trying it on you must make sure that there are no gaps between the helmet and your head, it should fit like a glove. 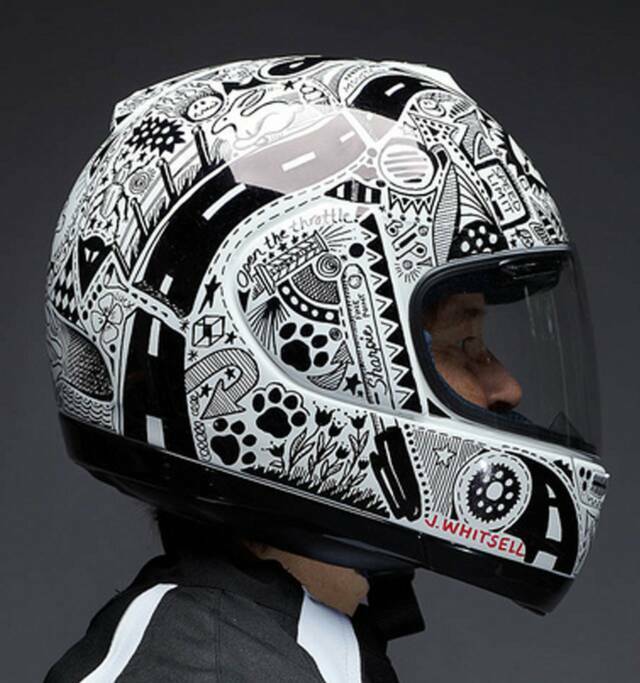 The helmet should feel secure but comfortable, if you end up getting lines in your skin, or you skin turning red it is probably because you have actually got the helmet on too tight. However, this might not necessarily mean that you have the wrong sized helmet, but rather that the straps are too tight. These can be altered and loosened either by making the straps themselves looser, or on many modern helmets they can be loosened at the back. In the same breath, you must make sure that they are not too loose. If you move your head around, the helmet should not wobble or move around, because if you were to crash and this happened, well we are back to the start again where it just as bad as if you weren’t wearing one at all. When you have done all of this then you are ready to get out there and start riding. Safety is so important when on a motorbike, as we have all seen in the news and elsewhere, it can be devastating when one is not properly dressed when riding. On top of that, a properly fitted helmet will make you much more comfortable, which in turn will give you a better riding experience. 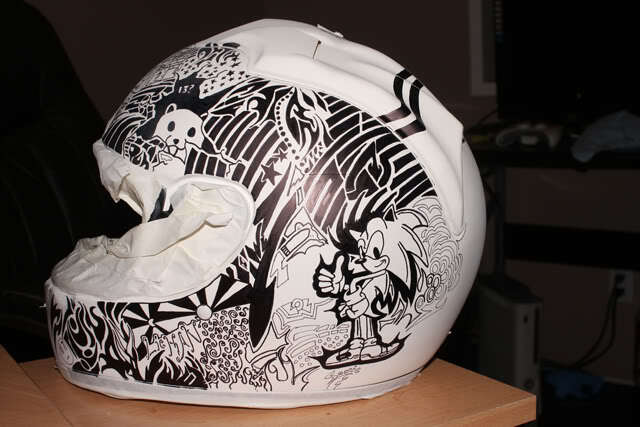 We love motorbike helmets and here we feature some really cool doodle designs using a sharpie pen. 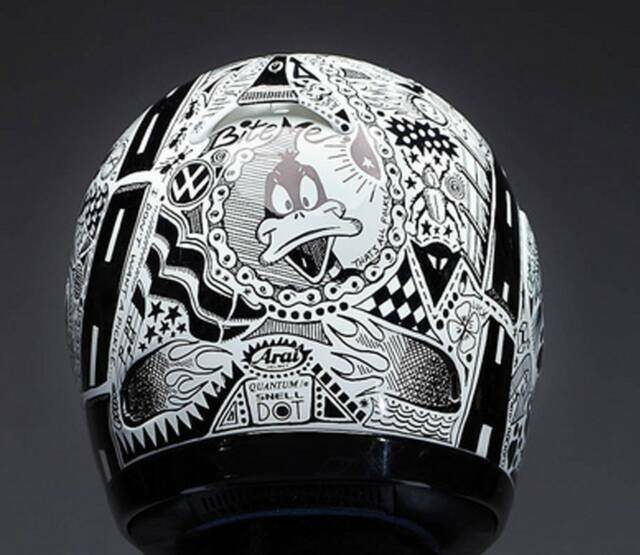 A collection of cool motorbike helmets from around the world featuring some crazy designs. 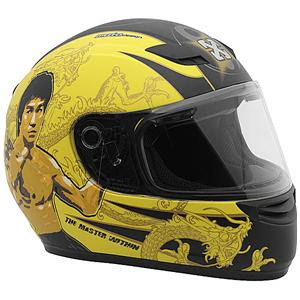 The motorbike helmet is an important piece of gear for riders and they would not fail to impress with these cool helmets although I think some of them may be unsuitable!